Multi-purpose aircraft polish and dry wash that cleans, removes oxidized paint, polishes and protects surfaces from UV damage in one application. Excellent for use at locations where restrictions are placed on wet washing due to effluent discharge requirements. May be used on all ground support vehicles. Performs well even on wet surfaces. Zi-400’s Industrial colloidal chemistry ensures that it is suitable for cleaning up the toughest stains such as carbon and blood, yet gentle enough for cleaning carpets, upholstery or plastics. It is even suitable for delicate tasks such as ultrasonic cleaning of jewellery and optical equipment. In fact, it is safe to use on any surface that tolerates water. Because Zi-400 Industrial is not a soap or detergent, it cleans more effectively without the problems or drawbacks associated with conventional caustic or surfactant based industrial cleaning products. ZI-400 is completely non-toxic and non-hazardous to use. Therefore, ZI-400 does not require any specific protective clothing or precautions for use, handling or storage. ZI-400 is approved for use on Space Shuttles and is highly regarded in other aerospace applications. Continual usage of Zi-400 on airframes can have a positive, long term effect on painted surfaces as well as the substrate. Most cleaning agents subtly attack the paint surface and lead to long term degradation evidenced as fading and chalking. This leads to film loss which is accelerated further by surface restoration procedures. Cleaning agents can also be responsible for paint loss from surfaces by allowing or encouraging exfoliation and/or under film and even filiform corrosion in and around stone chips, nicks and scratches. Regular aircraft washing with Zi-400 not only will reduce or alleviate the issues mentioned above, it can also be of benefit by reducing oxidization of the paint surface. 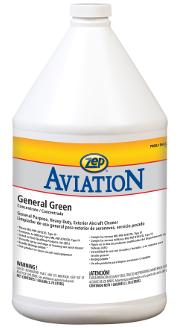 Predominantly, aircraft cleaners dilute at ratios of somewhere between 1 part cleaner and 8 to 12 parts water for general usage. The recommended dilution ratio for Zi-400 is 1 part product to 30 parts water. AMS 1526B, Exterior Cleaner (Accepted by AIRBUS Industries). AMS 1550B, Interior Cleaner (Accepted by AIRBUS Industries). Boeing D6-17487, Revision P (or later) Exterior Cleaning. Boeing D6-7127, Revision M (or later) Interior Cleaning. 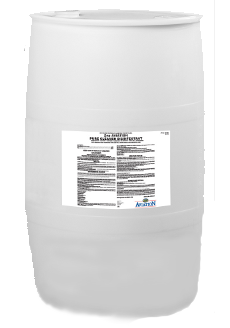 Available in 1 gallon, 5 gallon, 55 gallons and 250 gallon containers.